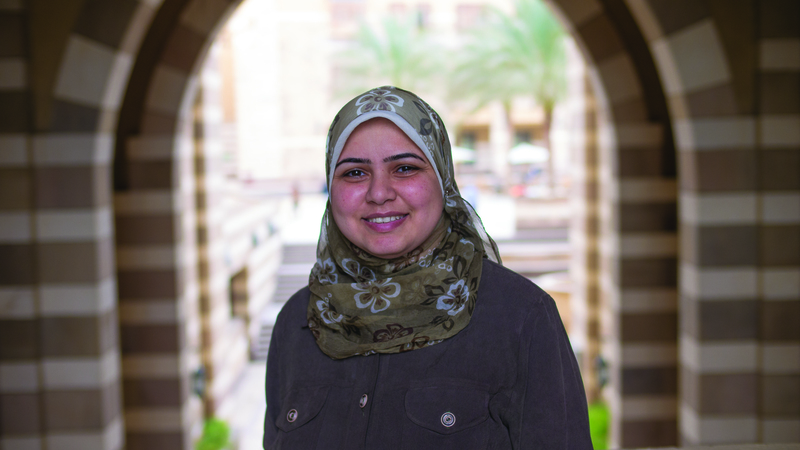 In this issue, we look at AUC-ians serving Egypt. AUC’s local contributions in Egypt are numerous, from student club activities and faculty research to alumni initiatives and University outreach. While we can’t cover everything in one issue, we try to shed light on some striking examples that are really making a difference and #MakingAUCProud. Public school reform, blended learning, employment opportunities, transportation solutions and cleaner energy — students, alumni and faculty are making their presence felt in all walks of life. Our faculty are also leading the way with their research: preserving Egypt’s legacy through archaeology and historic inscriptions, fighting diseases such as hepatitis C, exploring Red Sea genomics, using nanotechnology for solar energy and working as ministers to bring about positive change. The University as a whole — with its libraries, schools, centers, programs and courses — is working toward a better Egypt, just by doing what it does every day. One of the stories in this issue that is close to my heart is that of scholarship and fellowship students coming to AUC from different Egyptian governorates. Reading about their determination and future plans for the advancement of Egypt makes me feel happy and proud that such talented youth are part of our beloved country and our diverse campus community.